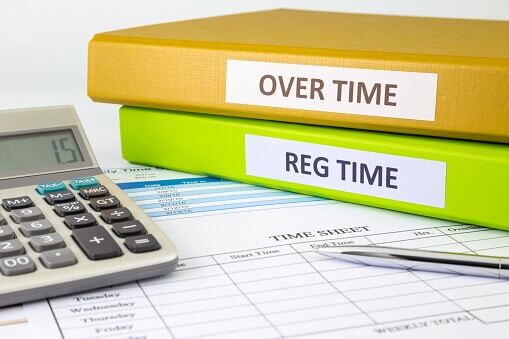 Earlier today, the U.S. Department of Labor published its Final Rule significantly raising the threshhold level for salaried employees entitled to overtime pay. UPDATE: See the AICPA’s press release: AICPA Responds to Department of Labor’s Overtime Rule. The Department of Labor has published its final rule significantly raising the threshold level for salaried employees entitled to overtime pay. The rule, “Defining and Delimiting the Exemptions for Executive, Administrative, Professional, Outside Sales and Computer Employees,” set to be published in the Federal Register May 23, carries an effective date of Dec. 1, 2016. One change which moved in the more onerous direction vs. the proposed rule was that the threshold defining “highly compensated employees,” above which an exemption from overtime rules applies, was raised (thereby sweeping many more employees below the exempt level and subject to the overtime rules) from the level set in 2004 of $100,000 to a new level of $134,004. The level that had been proposed was $122,148. Salary threshold: The final rule will raise the salary level for the first time since 2004. This increase will go into effect on Dec. 1, 2016. Standard salary level: The final rule will raise the standard salary threshold to equal the 40th percentile of weekly earnings for full-time salaried workers in the lowest-wage Census region, currently the South. This will raise it from $455 a week to $913 a week ($47,476 for a full-year worker). This means that 35 percent of full-time salaried workers will be automatically entitled to overtime, based solely on their salary. Highly compensated employees salary (HCE) level: The rule also updates the total annual compensation level above which most white collar workers will be ineligible for overtime. The final rule raises this level to the 90th percentile of full-time salaried workers nationally, or from the current $100,000 to $134,004 a year. Automatic updates. Every year that the threshold remains unchanged, it covers fewer and fewer workers as wages overall increase over time. The final rule will fix this by automatically updating the salary threshold every three years, beginning Jan. 1, 2020. Each update will raise the standard threshold to the 40th percentile of full-time salaried workers in the lowest-wage Census region, estimated to be $51,168 in 2020. The HCE threshold will increase to the 90th percentile of full-time salaried workers nationally, estimated to be $147,524 in 2020. The DOL will post new salary levels 150 days in advance of their effective date, beginning Aug. 1, 2019. Bonuses, incentive payments, and commissions. The final rule will allow up to 10 percent of the salary threshold for non-HCE employees to be met by non-discretionary bonuses, incentive pay, or commissions, provided these payments are made on at least a quarterly basis. This recognizes the importance these forms of pay have in many companies’ compensation arrangements, particularly for managerial employees affected by the final rule. This is a new policy that responds to robust comments received from the business community on this matter. Duties test. The final rule does not make any changes to the “duties test” that determines whether white-collar salaried workers earning more than the salary threshold are ineligible for overtime pay. But fewer employers and workers will have to worry about its application because the higher salary threshold means more workers’ entitlement to overtime pay will be clear just from their salaries. For workers with salaries above the updated salary level, employers will continue to use the same duties test to determine whether or not the worker is entitled to overtime pay. Additional information on the overtime rule can be found on the DOL’s website. The MACPA will update its members on the DOL rule and other significant regulatory developments at our upcoming Town Hall Meetings / Professional Issues Updates led by Tom Hood, executive director and CEO of MACPA, on May 20 and June 21. Both sessions are offered in-person or via simulcast. Watch MACPA’s website for announcements of webcasts focused on implementing the new DOL rule.